Sunset Cafe and Bar overlooks the water at Cockburn Harbour. This small restaurant and bar serves classic local dishes and freshly- caught seafood. Located in the heart of Cockburn Harbour and across the street from Seaview Marina. 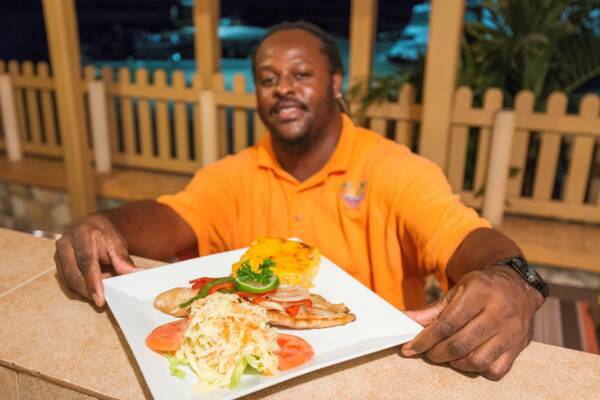 Chef Darryl Forbes of Sunset Cafe on South Caicos.